The Fun Run Walk event status update was introduced to primarily aim runners of business executives to organise the event in the after-work time to meet up with the uniqueness of the Club on corporate membership. Meanwhile the young member club is energising to expand the penetration on youth in the dual interests of new membership development and broader leveraging for fund raising. 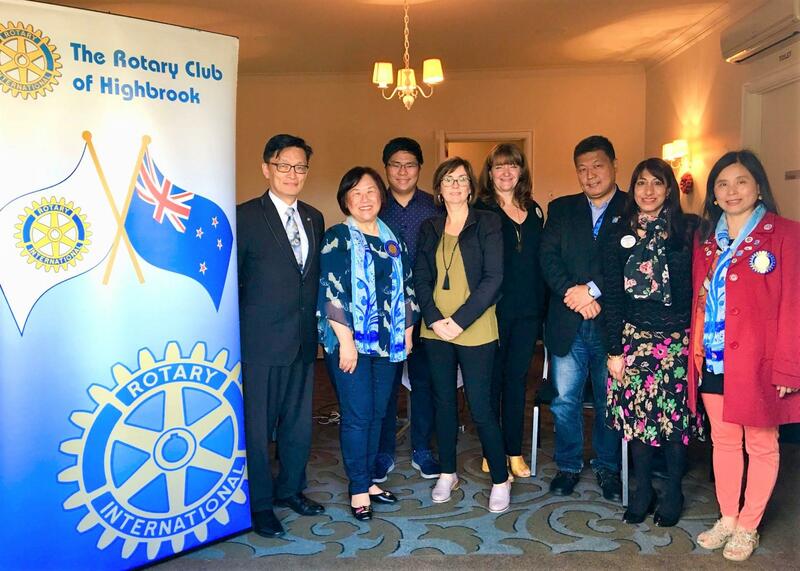 RC Auckland South expressed that the Club is keen to learn the event organising more than voluntary participation for Fun Run Walk while it is 3 months ahead, wish further opportunities to engage with RC Highbrook. The youth programmes apparently is another example to emulate membership management on both quality and quantity. Janet Lee, President of RC Auckland South, explained the critical needs of learning as each Club does have its own adhesiveness geographically and culturally, which is worthwhile for RC Auckland South to further articulate our positioning, focus and directions to ensure a concrete landing for community service. Our gratitude to Sarah, Ravinder, Elaine, Julie and all other Rotarians in RC Highbrook. A quick but fruitful breakfast pumps everyone and work together with full of energy.